The program are under revision! Please contact the department of Chemistry for more information. Molecular Sciences has in recent years emerged as a field somewhat broader than Chemistry, as its activities include methods and technologies which previously were linked to e.g. physics and biotechnology. Molecular Sciences includes the analysis of molecules at all levels, ranging from physical properties, through chemical reactivity, to interactions in larger assemblies, such as in a biological cell. We aim for students wanting to participate in molecular studies to address the grand challenges of the future, among them: efficient use of natural resources, health and medicine, environment and climate, and global food production. Students aiming to learn how properties of molecules can explain phenomena in nature, how synthesis, discovery and analysis of new molecules can be used to design new drugs, medicine and materials with improved functionality, and how molecular studies can be used to improve health, industry and environment. The Master of Molecular Science Programme at UiT has a duration of 2 years and equals a total of 120 ECTS. Each Master's candidate works on a research project to complete an independent scientific dissertation (thesis, 60 ECTS). In addition, the programme includes topical coursework, where 20 ECTS are obligatory for all students admitted to the programme, and 40 ECTS are to expand on the students chosen discipline and other special curricula (total 60 ECTS). Within each discipline, certain courses are mandatory. The student will choose a Master's project within the thematic areas available at the Department, and the student will make use of the methodological tools relevant for the thematic specializations.These projects can be theoretical or experimental in nature, or a combination of these, and might be applied to basic and applied research questions. Combination of different specializations to acquire a wider expertise is also possible. Eligibility to projects may depend on the student's background. The Master's candidates become members of one of the research groups at the Department, with an assigned thesis supervisor. Throughout the project, the Master´s students may work closely in teams with PhD students, post doctoral fellows and senior scientists. The Department of Chemistry at UiT provides excellent research environments, with state-of-the-art laboratories and experimental equipment, and access to advanced computer facilities for computer-oriented work. The Department hosts a Centre of Excellence (CoE) in Theoretical and Computational Chemistry, Hylleraas Centre for Quantum Molecular Science (http://www.ctcc.no), an internationally recognized research centre in structural biology, NorStruct, (http://norstruct.uit.no), and a national and international facility for bioinformatics (http://SfB.cs.uit.no). 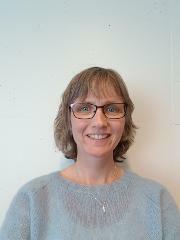 The Department also participates in the Arctic Biodiscovery Centre (http://arcticbc.no), where our expertise in structure elucidation and molecular analysis (http://smallstruct.uit.no), biocatalyst research, synthetic chemistry, and biotechnology is utilized. Has an overview of scientific approaches to analyse and understand natural phenomena, using theory and methods of molecular sciences. Has thorough knowledge of theory and methods within at least one of the disciplines offered in the Master of Molecular Sciences programme. Has advanced insight into international research and development within one of the disciplines offered in the Master of Molecular Sciences programme. Has acquired advanced knowledge and understanding sufficient to enable innovation and discovery within her or his dicipline. Can communicate scientific information clearly and precisely, both written and oral forms. Can critically produce, analyse and evaluate the quality of data, products and results generated within the chosen field of molecular sciences. Manipulate and study biological macromolecules at DNA and amino acid levels experimentally (recombinant protein production) and/or computationally (bioinformatics). Study structural, functional, and biophysical properties of biological macromolecules experimentally (crystal structure determination, intermolecular interactions, enzyme function) and/or computationally (molecular modelling, drug design). Apply informatics tools to analyse biological macromolecules and their properties at genetic sequence and/or amino acid and/or structural levels. Analyze synthetic and natural substances with advanced chromatographic, spectroscopic and/or crystallographic methods. Predict or interpret the behavior of chemical systems by making use of advanced computational infrastructure. Has become proficient within the chosen discipline of molecular sciences, and has acquired basic tools needed to carry out independent research and to complete an advanced research project under the supervision of a supervisor. Can analyse and judge the reliability of information obtained from different sources and has a sound critical attitude towards knowledge from all sources. Can apply the obtained knowledge to solve problems in natural sciences. Can accomplish some independent research and communicate the research questions and results in both written and oral forms. Can carry out knowledge-based evaluations of general problems in science and communicate this to the public. Can accomplish research projects under guidance, e.g. under a PhD-programme in molecular sciences, chemistry or related areas. A Bachelor's Degree (180 ECTS credits) in one of the natural sciences OR an equivalent degree following a programme of study of minimum 3 years, or a similar education approved in accordance with the Norwegian Universities Act section 3-4. The Bachelor's Degree must contain a minimum of 80 ECTS (or equivalent) specialization within the fields specific to the disciplines within the Master's degree programmeme in Molecular Sciences; Biomolecular Chemistry and Bioinformatics, Chemical Synthesis and Spectroscopy, Theoretical and Computational Chemistry, of which a minimum of 30 ECTS must be chemistry courses on bachelor level. By "one of the natural sciences OR an equivalent degree" means one of the degrees mentioned in Table 1 in the link below, where the admission requirement for the various disciplines is outlined. International students from non-Nordic countries (except students with English as their mother tongue), must meet the Department of Chemistry's English proficiency with minimum scores as outlined below. The Master Degree include topical coursework, where 20 ECTS are obligatory for all students admitted to the programme, and 40 ECTS are to expand on the student's chosen discipline and other special curricula (total 60 ECTS). The student will in addition work on a research project to complete an independent scientific dissertation (thesis, 60 ECTS). The Master's candidates become members of one of the research groups at the Department, with an assigned thesis supervisor. The student is advised to contact potential supervisors already the first semester in order to start planning course work and the research project, which may be started the first year. Throughout the research project, the Master´s students may work closely in teams with Ph.D students, post doctoral fellows and senior scientists. Courses are taught as classes, some in combination with experimental laboratory exercises, and some purely through laboratory work. Canvas is used as the electronic learning portal in all courses. Various assessment methods are applied. Courses are assessed through oral or written exams, some through assessment of a laboratory or project report, and some as a combination of methods. To achieve the learning goals, students are expected to work 40 hours per week on the project and courses, including lectures, lab and seminars. The language of instruction and examination is English and all syllabus material is in English. The master's thesis must be written in English. A Master of Science Degree in Chemistry can provide a stepping-stone for exciting careers in a variety of fields, in Norway or abroad. The fields of study are crucial in the development of new sources of renewable energy (e.g. biofuels, solar cell materials), new solutions for the treatment of pollutants and waste (e.g. biomass conversion), and new technological tools which improve the efficiencies and reduce the costs of industrial processes (e.g. design of novel biocatalysts). A Master's in Molecular Sciences from UiT is also well suited for work in the pharmaceutical industry or academia in topics related to life sciences and drug discovery and development. A Master of Science Degree in Chemistry provides the graduates with the qualifications to work as professionals in chemical or biotechnology industries, or to apply for Ph.D. programmes in relevant scientific fields. The scientific computing projects can also qualify the graduates for positions in computational modelling and data handling and analysis, software development or high-performance computing. The programme is also relevant for students who wish to strengthen their knowledge about chemical and biochemical processes, in order to apply it in fields such as medicine, biology, geology, material science, nanotechnology, pharmacy and environmental studies. Completed Master's degree studies qualify for admission to PhD-programs in chemistry or other natural sciences, provided grades from the Master's and Bachelor's degrees are sufficient. 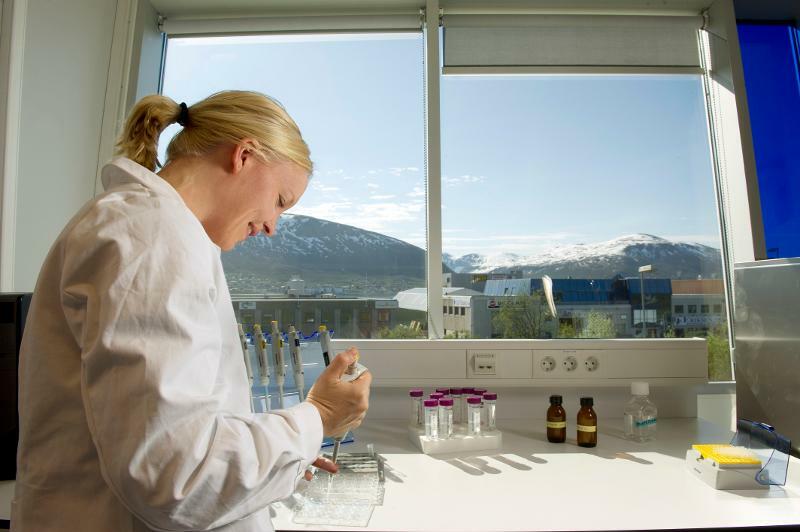 PhD-studies in natural sciences (discipline chemistry) are offered at UiT The Arctic University of Norway. The master's programme is structured such that the student can spend shorter or longer periods studying abroad, preferably in the second or third semester. Courses must be approved in advance.